Milk production. 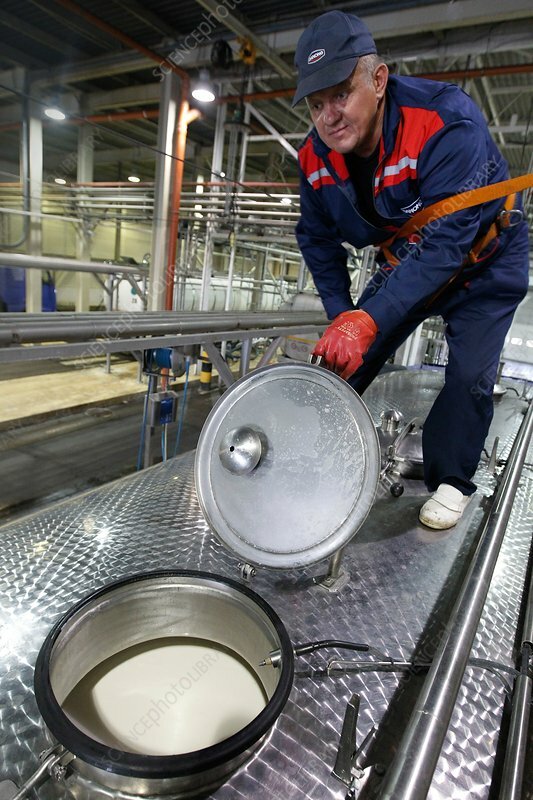 A worker opening a hatch on top of a full milk tanker. Photographed at the Danone Unimilk factory at Moscow, Russia.